Georg Mayer, Chairman of 3GPP TSG CT, said: “Two years ago, 5G was seen as a vision or even just a hype – with the closing of Rel-15 3GPP has made 5G a reality within a very short time. The outcome is an amazing set of standards that will not only provide higher data rates and bandwidth to end customers but which is open and flexible enough to satisfy the communication needs of different industries — 5G will be the integration platform for heterogeneous businesses. All this could only be achieved thanks to the willingness of the stakeholders to work together on a common goal and due to the effectiveness of 3GPPs structure and processes. Rel-15 only marks the first step of the 5G story and 3GPP will further develop it into the future, aligning it to the needs of customers and industries.” It is firmly believed by the whole industry that, after 34 months of hard and efficient work, the carefully crafted and elaborately designed 5G specifications, a fruit of close collaborations and collective wisdom, will surely meet the high expectations. Dr. Shao Guanglu, China Unicom EVP, said: “The 5G standard completed at this meeting is result of sincere cooperation of the whole industry. It is the result of wisdom and sweat of experts in communications, and carries high expectation and dreams of the whole society to form a more intelligent world. 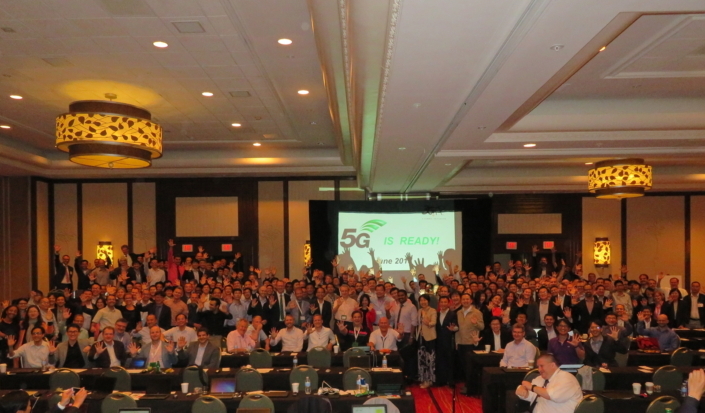 The completion of specifications is a milestone for 5G commercialization. 5G can meet various business requirements in different scenarios. It can not only provide high speed wireless access, but also enable vertical industry applications. It help us carry out the national strategies such as Internet+ and Made in China 2025. China Unicom will work together with the whole industry to build a good ecosystem and create a new dimension for 5G development, with the “five new” attitude”.